Renowned for its cultural richness, beautiful handicrafts and natural grandeur, Almora is among the must visit places in Uttarakhand. 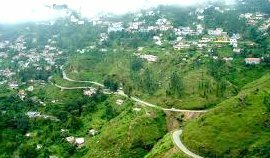 With the special Almora hill station packages of Tour My India, you get the opportunity of exploring different tourist charms of this wonderful hill station. 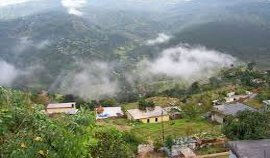 We provide the best travel packages to Almora, at affordable prices that let you explore the exquisiteness of the place and at the same time keep your pocket happy. Be it a visit to the famous shrines like Katarmal Sun Temple, Kasar Devi Temple and Chitai Temple, or a local sightseeing tour to the Bright End Corner, our Almora tour package makes you witness the splendor of all. Along with this, we also offer tailored travel packages for nearby places to Almora like Ranikhet, Kausani, Binsar, Baijnath and so on. We also provide customized holiday packages to Almora, based on the clients’ requirements.